Good news for Google Pixel and Pixel XL users, now you can root your Pixel smartphone with Magisk app. The Pixel is the latest series from Google and comes with Android 7.0 Nougat operating system. The Google pixel smartphones rooting is not possible before but now it possible thanks to Magisk app developers for providing the app. 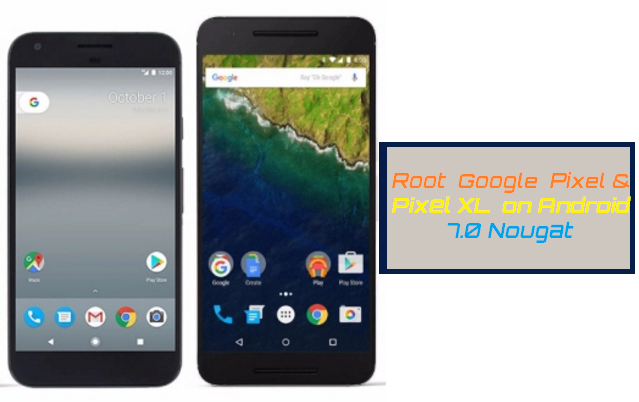 Once your Pixel phone rooted then you can easily install custom ROMs and those apps which need root access. If you like to root your smartphone so you are in right place. In this post, we will show how to root Google Pixel and Pixel Xl on Android Nougat. Just follow the guidelines below. Note: This Update tutorial is only for Google Pixel and Pixel XL. So don’t apply to other models. If you may brick your device. We are not responsible for any damage to your smartphone . Take the backup of all necessary data on Google Pixel before proceedings. 1. First of all, download the files on your phone from above links. 2. Once downloaded then transfer the latest Magisk zip file to your Pixel smartphone. 3. Now Boot your Pixel phone into TWRP recovery, tap on the Install button to flash the Magisk zip. 4. Reboot your device after booted, transfer the phh’s SuperUser .zip file to your phone. 5. Now Boot your Pixel phone into TWRP recovery and tap the Install button to flash the SuperUser. 5. Now Boot your Pixel phone into TWRP recovery and tap the Install button to flash the phh’s SuperUser. 6. Once the phh’s SuperUser .zip file is flashed on your Pixel smartphone then reboot your device. 8. Download and Install the Magisk Manager .apk file from above link. That’s all! Enjoy your Rooted Google Pixel phone.